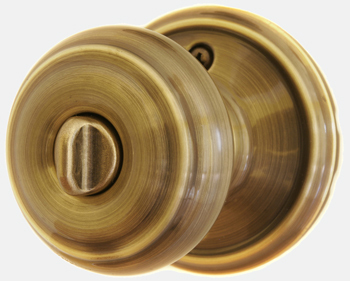 Q: My door knobs are old and shabby looking and some of the locks don’t work. Can I replace them myself? A: Yes you can – and it’s not that difficult at all. It’s best if you can find a replacement that will fit the existing holes. Measure from the edge of the door to the center of the knob opening – that’s the “set-back” dimension. Next measure the size of the opening. You will need these two measurements when shopping for new hardware. Also, it’s helpful to know the thickness of the door and be sure the hardware you select is adjustable to the door thickness. No unusual tools are needed – screw drivers mostly. The cost depends on what kind of knob you select and the type. There are several kinds – key locked for exterior doors, privacy locksets for bedrooms and passage sets. Then there are the various models, colors, styles, etc. Depending on your décor you may want lever handles, or china knobs. Keyed locksets range from $35 to $75; privacy lockset $15 to $35; passage sets from $10 to $25 and a fancy front door lockset can cost $150 and more. Each door will take about 30 minutes to remove the old set, clean up the door and install the new knob. You may find that the screws to remove the knob are concealed. With a flat blade screw driver, find the little indentation and snap the rosette or cover off. Use a mild cleaner and wipe the area clean. Them follow the directions which are included with each package. Usually two screws hold the knob assembly in place. You should also change the strike plate on the door jamb and the plate that covers the throw bolt opening. 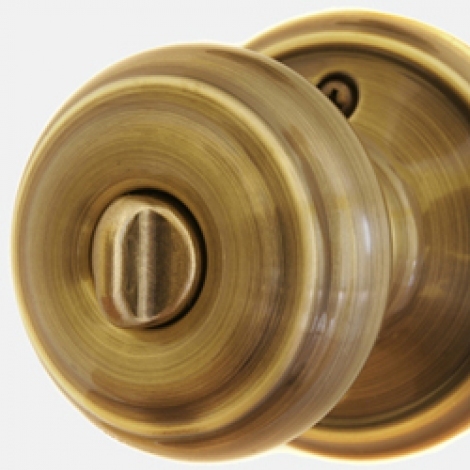 While you’re at it – why not replace the door stops – those little spring devices that stop the door from banging the wall. How to Drop Ten Sizes in a WeekHappy Fathers´s DayLife in My ClosetA Bit of an ObitIs there solid ground for the expectation for recovery in the housing market?